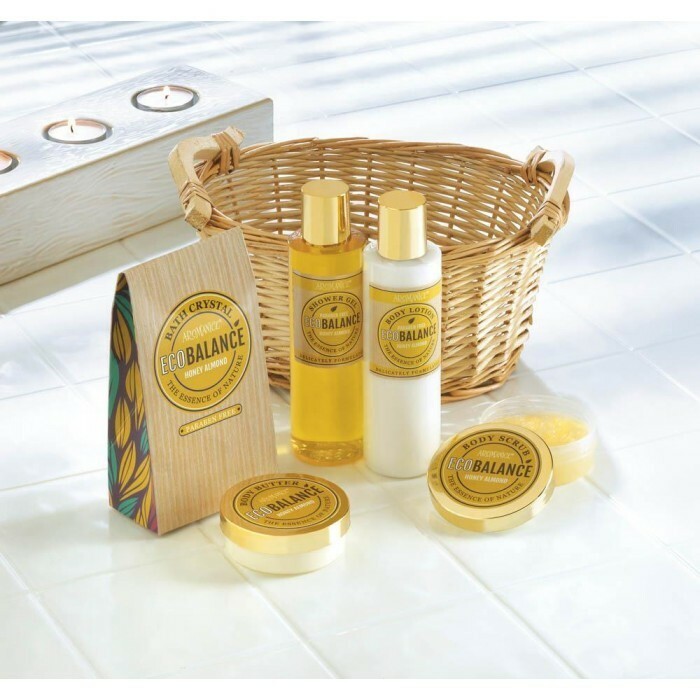 HONEY ALMOND SPA SET home decor, jewelry, decor, decorations, electronics, fountains, floor mats, art glass, vases, garden essentials, fireplace screens. The warm and sweet scents of honey and almond mix and mingle to create a luxurious spa experience, right in your tub or shower! This fabulous bath set features everything you need to soak and soothe your skin, and comes with a bath pouf and a pretty woven basket. Paraben free. Material(s): PLASTIC PAPER WILLOW. Weight 1.89 pounds. Dimensions 9.62" x 4.25" x 8.12".